I was born in Cuba and moved to Orlando in 1974. I graduated from Colonial High School, and then went to Valencia Community College where I graduated with an AS Degree as a Medical Assistant. I received my Dental Assisting certification at Orlando Vo Tech, and worked as a Dental Assistant before becoming a Scheduling Coordinator. 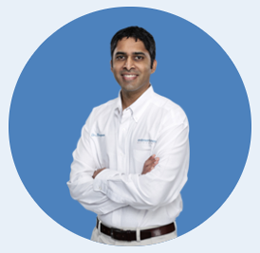 I have worked for Anderson & Moopen Orthodontics since February 2002. I’ve been married many years to my wonderful husband and we have two adult children, Jenny and David, I’m also a grandmother of two handsome boys: Jackson and Jacob. In my spare time I like to read, exercise, and take care of my grandkids.